MAC Football News: Lycoming College: Warriors receives votes in the D3football "2014 Football Preseason Poll"
Lycoming College: Warriors receives votes in the D3football "2014 Football Preseason Poll"
Williamsport, PA - The D3football.com 2014 Football Pre-Season Poll shows Lycoming College received 34 votes and is the only MAC football team receiving any votes in the annual preseason poll. The poll published on July 16th show Mount Union, the perennial powerhouse in third place giving way to UW-Whitewater and Mary Harden-Baylor. The D3football.com Top 25 poll is voted on by a panel of 25 coaches, Sports Information Directors and media members from across the country, and is published weekly. Based on the votes recorded, Lycoming comes in 29th in their preseason poll. The Warriors, who were MAC Co-Champions last year, have an experienced offensive squad and an always competitive defense ready for the 2014 season. The offensive is lead by third year starting quarterback Tyler Jenny (Coalport, Pa./Glendale). Voted on the 2014 USA College Football Preseason All-American list, Jenny led the league last year with a 150.0 passing efficiency, as he completed 161-of-246 passing for 2,038 yards and 16 touchdowns. He completed 65.4 percent of his passes, the second-best mark in the league while being intercepted just eight times. Jenny, the team's Offensive Most Valuable Player in 2013, also picked up Second Team All-MAC honors. A seasoned running back and voted on the 2014 USA College Football Preseason All-American list, Craig Needhammer (Lansdale, Pa./North Penn) is staged to break a number of record in 2014. Needhammer racked up 1,184 yards rushing in his first full year as a starter in 2013, helping him earn First Team All-MAC accolades and Capital One Academic All-District honors. He enters his senior campaign just three rushing touchdowns shy of the school record of 29. 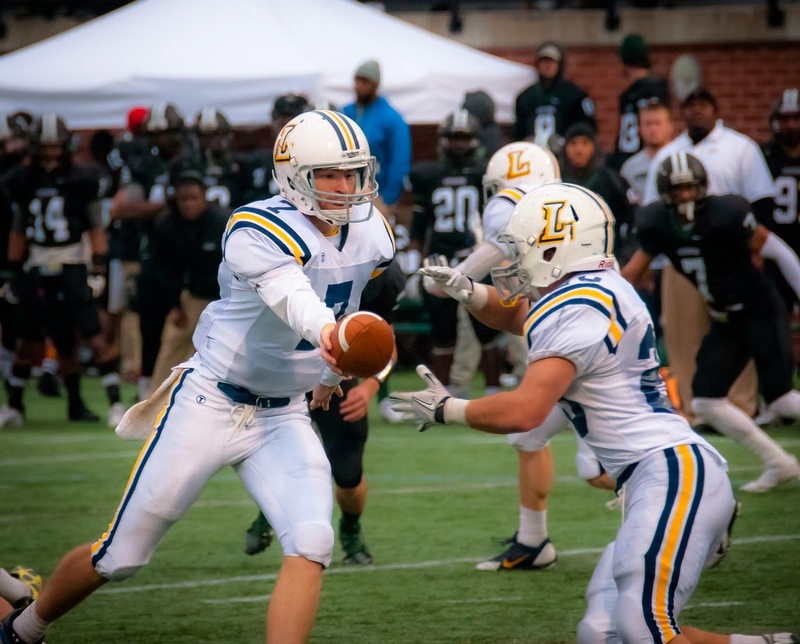 Lycoming's defense will be highlighted by Senior Tanner Troutman (Hegins, Pa./Tri-Valley) who was also voted on the 2014 USA College Football Preseason All-American list. He was named the D3football.com East Region Defensive Player of the Year after notching a nation-leading eight interceptions as a junior. He was also named to the Sporting News and Lindy’s Division III Preseason All-American lists. The D3football.com Top 25 list changes each week once he regular season starts.